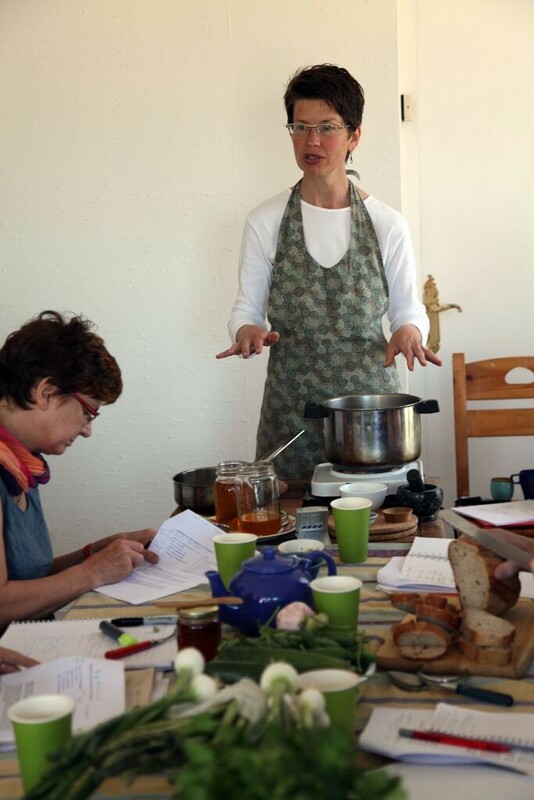 Having direct, practical experience of healthy cooking is one of the best ways to understand how the art of holistic self-nourishment can be accessible and pleasurable to all. Ayurvedic nutritional principles applied to the preparation of quality local, seasonal and organic food create the ground for food-as-balance that is tailored to the uniqueness of the individual. 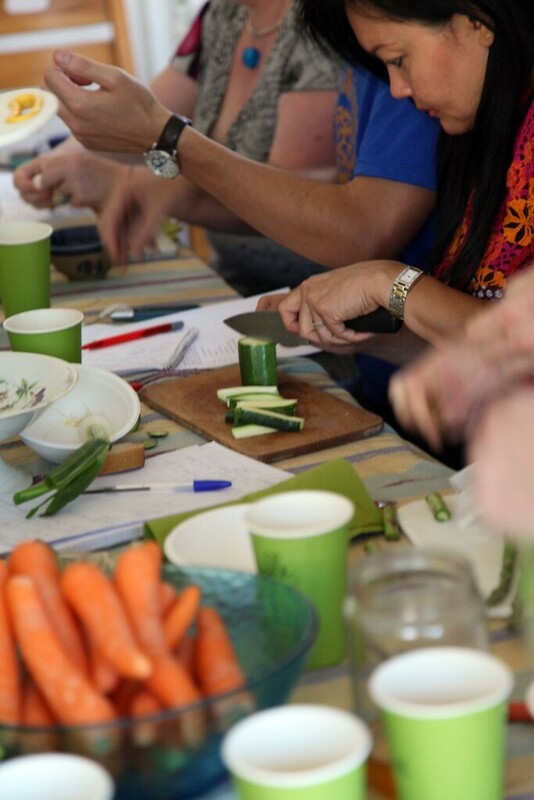 Once you’ve had the experience of the ease in preparing simple, healthy and deliciously nourishing meals using holistic principles, it becomes a habit that needs little encouragement to be repeated. Ma petite cuisine saine’s approach to healthy nourishment is first and foremost based on wise food choices and preparation according to one’s metabolic constitution. Through this one can have optimal digestion, the baseline of our individual health. A food that is in style or ‘good for all’ can either improve or diminish one state of health if one’s digestive capacity, the way it is prepared, the season or the individual are not taken into consideration. 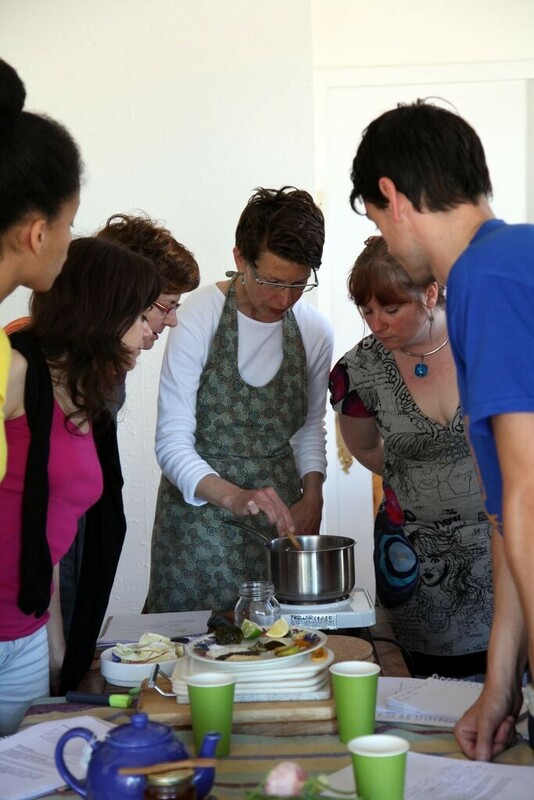 cooking classes can be adapted to vegetarians and vegans as well as carnivores and flexitarians. Everyone will find a pearl of wisdom to assist in better nourishing themselves. ma petite cuisine saine's classes are itinerant and can be taken on the road to be held at your home or place of choice, as well as in my kitchen. Classes are offered in group settings as well as on a one-to-one basis. To see what ma petite cuisine saine is currently offering, please consult the events page. Contact Michele to discuss the possibilities of a tailor-made class.